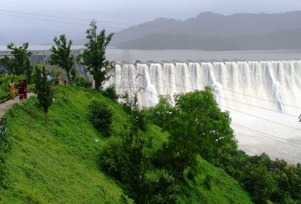 Aji Dam, with its manicured garden on the side, is yet another famous tourist attraction of Rajkot. A manicured garden surrounds the dam, which features an amusement park, food court, bird aviary, children, crocodile park and zoo. As winter looms, the Aji Dam becomes a haven of late-flowering shrubs, migratory birds are the primary attraction at this time of year. All thanks to Rajkot Municipal Corporation, the park remains in a good condition throughout the year.